of science & technology bring out a great chance to unemployed people. Ministry of science & technology is being provide to many development project for the people. Anyone can take this opportunity. 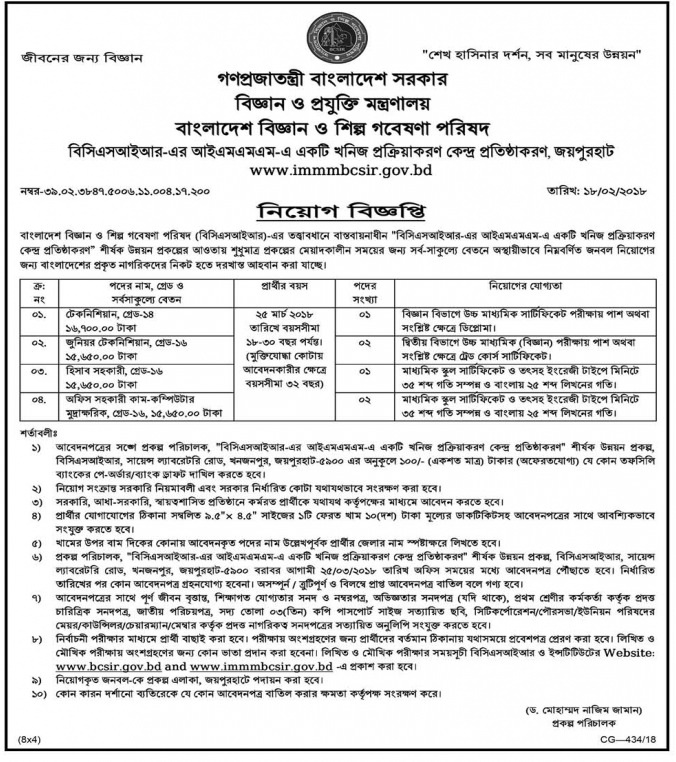 If you want to get Ministry of science & technology job circular 2018 related informatio. Ministry of Science and Technology is being promote Science and Technology as stewardship of positive change in society and national well-being and thus to make Science and Technology a part of national culture. The use of Science and Technology as a means of sustainable use of Environment, Ecosystem and Resources contribute to world pool of knowledge in Science and Technology. In the last few years Ministry of Science and Technology has gained a rare feat with due policy level support and with proper planning.